The one thing I was looking forward to doing after I cut my hair was a wash and go. Would you believe that 2.5 months has passed and that’s the one style I’ve never tried?! In the beginning I was hesitant about do it because of how much my hair shrinks. I must have like a 100% shrinkage rate. I was already adjusting to short hair and for my hair to look even shorter wasn’t really an option. In fact, I’m still adjusting to short hair. Now that I realize that I haven’t done a wash and go, it’s probably too cold outside to do it. Going out in the cool/cold with wet hair is NOT and option. Do you still do a wash & go in the Fall/Winter? I’m still trying to figure out what the best products for a wash and go are. When my hair was relaxed and I did a wash and go, setting lotion was my best friend. It gave me the definition I needed, but didn’t make my hair crunchy (depending on the amount I used). It also didn’t dry out my hair like gel did. What do you use for your wash & go? I used miss jessies curly meringue. I believe you have the pics of my wash and go. Im actually thinking about doing one today and this would be the first one since I got my ends cut so mayb it will look better? Who knows…..oh and short hair rocks!!! Oh yeah! I didn’t post those pics huh? Can’t wait to see your wash & go on freshly trimmed hair today. Awww, poor Rece, you are really going through it with the length loss. Girl, go get you a half weave;). Remember, I got some tracks when I started to miss my length!! But, those did a number on my own hair due to it being too fine. So, this winter, I’m thinking of trying a half wig and putting my hair in cornrows under it:)!! Wei is soooo not feeling that at all!! LOL!! But, I still may do it if I can find a really nice, natural wig. Oh, but wait, I was supposed to be getting twists! I don’t know! We’ll see! I just want a break from doing my hair every morning for a while:)!! Oh, and your wash and go was very cute!! I had a similar look when I was relaxed and did WnG. 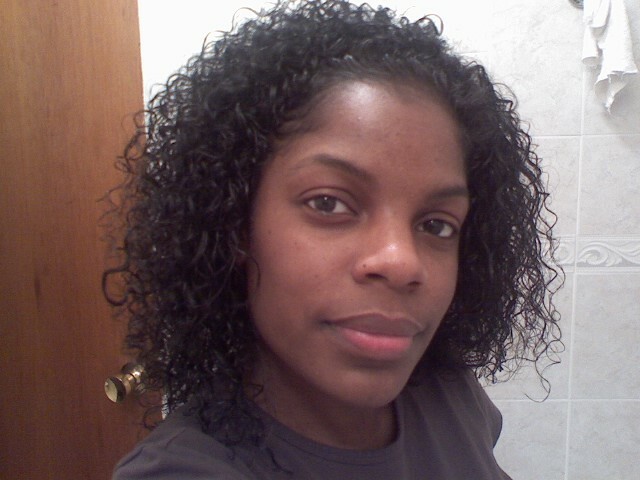 I tell you though, my hair was soooo much denser in my 20s. That’s where I’m feeling the loss! I wish I had the type of job where I could hide under a hat all winter though. Me too! Okay, my sister unearthed some pics she took of my hair in 2002 or 2003. You guys are finally going to see what I’ve been talking about. It really makes me a little ill to see how much my hair has changed:(. I know that everyone just sees loose waves and long hair, but I know that my hair was thicker and curlier and seeing the change just forebodes more thinning and straightening:(. I really want to have a child, so my only hope is that the pregnancy hormones might make my hair curly again … but then, the post-partum shedding will probably make me bald!! Ughhh, I fear that I’ll look like the Crypt Keeper!!! You know, this guy!! Yeah … this is going to be a post! I can’t wait to see the pics! That’s the one thing that keeps me from henna-ing. (is that a word? Lol). I don’t want my hair to change. 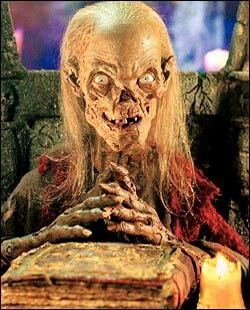 You just about killed me with that pic of the crypt keeper! Of course I know who the crypt keeper is! Listen, my hair was heading for that when it was relaxed. Yikes!!!! That is why I transitioned for a long time, sloooooooowly cutting away the relaxed ends. I couldn’t go the no long hair with draw. Did you see Naptural85’s wash-n-go on youtube yet? It is very simple. I did transition for a loonnngggg time. 16.5 long months! My hair was just so long, it would have taken me an eternity to transition without doing any type of major chop. I’ll have to go and check out Naptural85’s wash and go. Thanks for the heads up! OMG Rece, this wash n go looks fabulous. I love it. That crypt keeper pic made me laugh out loud…! !